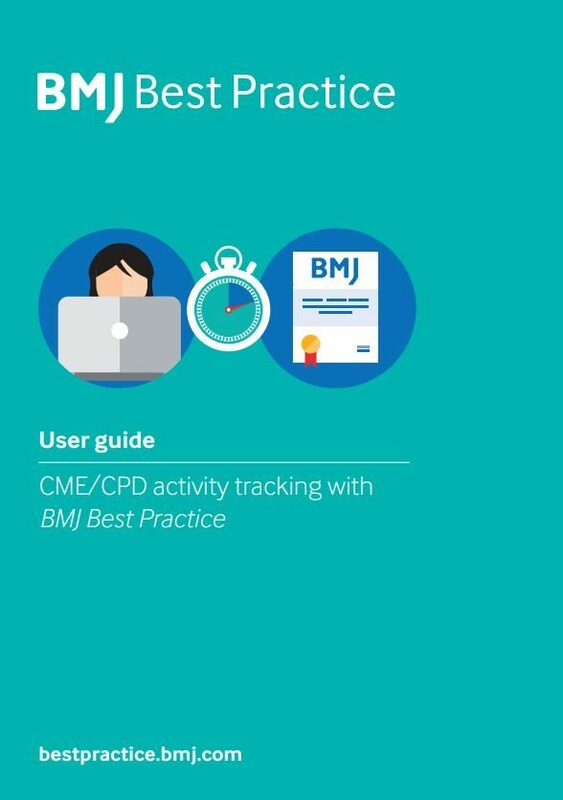 We've created the following user guide, app guide and guide to tracking your CME/CPD activity to support you when using BMJ Best Practice. 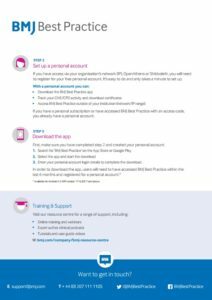 Learn how to log in, set up a personal account, download the BMJ Best Practice app and access free training. Please feel free to download this Getting started guide in your chosen language, and share with all users. 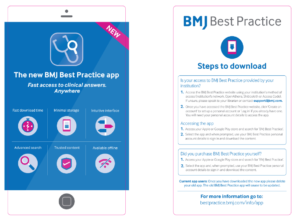 Learn how to access the BMJ Best Practice app with this quick guide. Download in your chosen language and feel free to distribute with your users. Download this user guide to learn how to log in to your personal account, view your activities, create activity certificates and more. Simply click on the link to download and share with your users. 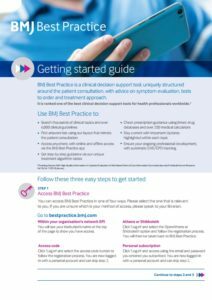 "BMJ Best Practice sums up all the key information on almost any given condition at the click of a button."